A trending topic in the dental world: are your children’s baby teeth important? 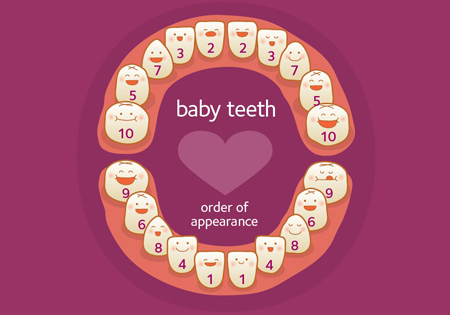 Even though they will eventually fall out and children will develop adult teeth, baby teeth are still very important. Baby teeth help children chew, speak and smile. Baby teeth are also placeholders in the jaws for permanent teeth that will be growing in the future. When baby teeth are not taken care of and are lost too early, the permanent teeth can drift into the empty space and make it difficult for other adult teeth to come in properly causing crooked teeth. Therefore, children must practice proper oral care to help protect their teeth for the future.